The five Messina brothers — Salvatore (born 20 August 1898), Alfredo (born 6 February 1901), Eugenio (born 1908), Carmelo (born 1915) and Attilio (born 1910) — came from a criminal background. Their Sicilian father, Giuseppe De Bono, was a white slaver in the early part of the last century. In 1934 Eugene Messina visited London to find out if it would be a suitable location for their nefarious activities. It was, and the family relocated to London, taking the name Messina. After the Second World War the five brothers carried on the family business, importing women from Belgium, France and Spain. To allow the women to work legally they were married to tramps that were paid and given a new suit to wear at the register office ceremony. By the late 1940s the Messinas ran 30 brothels in and around Bond Street. The women handed over 80 per cent of their earnings to the brothers. Attilio Messina said, “We Messinas are more powerful than the British Government. We do as we like in England.” The brothers also paid off the police. Ostensibly, the family business was dealing in antiques, and exporting and importing diamonds. By the 1950s the police estimated that at least 200 of London’s most expensive prostitutes were Messina girls. It was a journalist who finally brought down the Messinas. Duncan Webb was the crime correspondent of The People. He began interviewing prostitutes, building up a dossier on the dealings of the Messinas. On 3 September 1950 The People published its exposé under the headline “Arrest These Four Men”. The story featured interviews with more than 100 prostitutes along with names, photographs and dates — more than enough for the police to act. Eugene, Carmelo, Salvatore and Attilio left England. On 19 March 1951 Alfredo Messina was arrested and charged with living off the immoral earnings of his girlfriend, Hermione Hinden, and for attempting to bribe the policeman Superintendent Guy Mahon – who arrested him. He was sent down for two years. 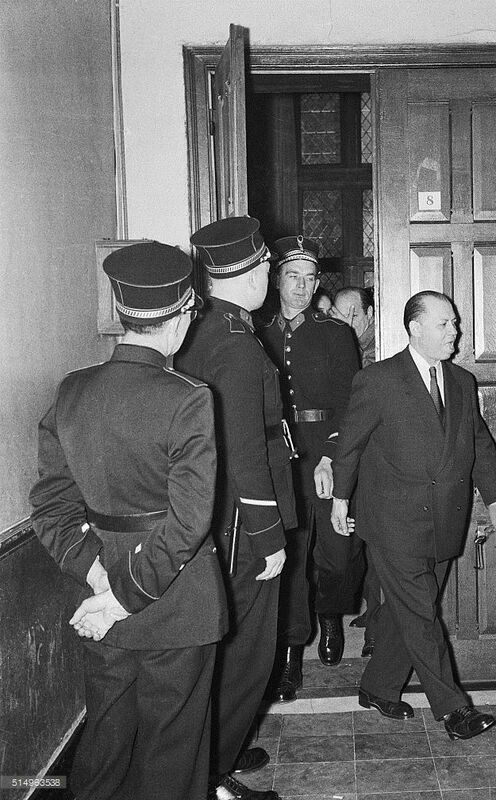 On 31 August 1955 Eugene and Carmelo were arrested in Belgium as they were closing a deal with two Belgian girls and charged with procuring women for immoral purposes. Eugene received a seven-year sentence and Carmelo was acquitted of white slavery. He was banned from re-entering England but he did and was arrested on 3 October 1958. He was deported to Sicily in March 1959 after serving his sentence and he died there in the autumn of 1959. Attilio Messina was sentenced to four years in jail for procuring on 9 April 1959. Salvatore Messina was never caught.